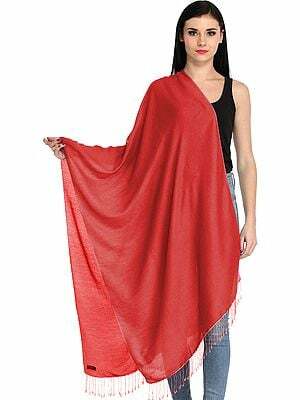 Pashmina is a fabric that is derived from mountain goats that reside in the hilly Himalayan terrain and the mountainous region of Nepal. The diameter of the fibre is very small and this makes this fabric finer than that of Cashmere. 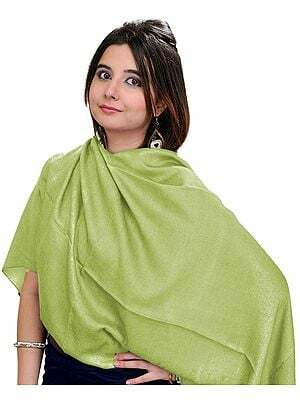 The fabric is extremely smooth and soft to feel. 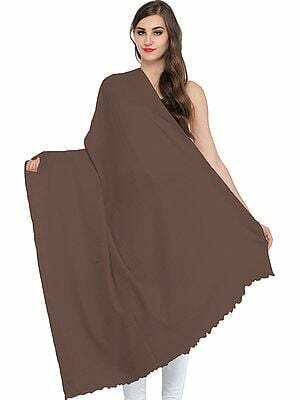 Although it is a thin fabric, it can give tremendous warmth to the body. This is mainly because the fine fabric that allows minimal or no passage of external air when wrapped around the body and helps in keeping the body safe and warm from the external cold climate. One of the main tests to check authenticity of the fabric is to test its ability to create warmth. Extreme cold climates in the higher altitudes of Nepal are believed to have caused the mountain goats to evolve and protect themselves against the atmospheric condition by developing very fine hair as a protective layer around them. 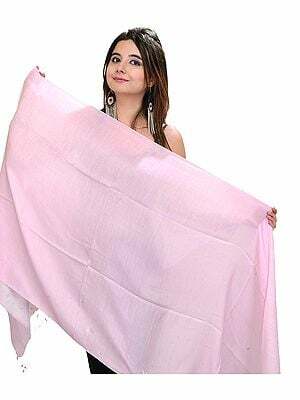 Pashmina mixed with moderate amount of silk is also used for making stoles and helps in making the fabric softer and shinier in appearance. 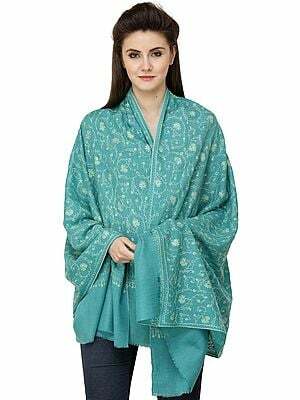 Beautiful Kashmiri Sozni embroidery and needle work along the entire surface of the shawl using various styles of stitches to form a vine pattern that gently flows through the entire shawl helps in giving silk scarves and shawls a very elegant appearance. Different types of flowers are embroidered on the vines across the length of the shawls and scarves and make these items beautiful in appearance.